When you live in New Hampshire, you need a heating system you know you can depend on no matter how low the temperature plummets. At Rowell’s Services, we can help. We offer heating system installation in the Northfield, New Hampshire area, and our friendly HVAC technicians would be more than happy to help you pick out the system that is best suited to your home. If you are in the market for a new system, choosing the right one is essential. In addition to deciding what type of system to get, you need to consider the size to make sure it is appropriate for your home. An undersized heater may cost less up front, but it will likely struggle to warm your home. Heaters that are too small run constantly and driving up energy bills. The excessive wear and tear also make them more prone to premature failure. A heating system that is too large will also cause problems. An oversized system will likely cycle on and off frequently, putting more wear and tear than necessary on all of its components. If your heating system is too large, it may also struggle to maintain a comfortable temperature inside your home. system you need for your home. 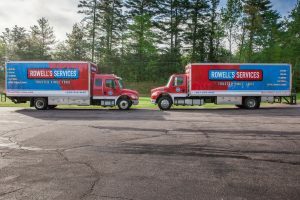 For the best heating system installation in Northfield and the surrounding areas, count on Rowell’s Services. We offer all types of heating systems, including boilers and furnaces, and you can always rely on us to get the job done right. When you have us install your new heating system, you’ll have peace of mind knowing that it will provide you with several years of reliable service. Whether you need to have heat installed in a new home or you are looking to replace your existing heater, contact us today. Call 603-934-4145.